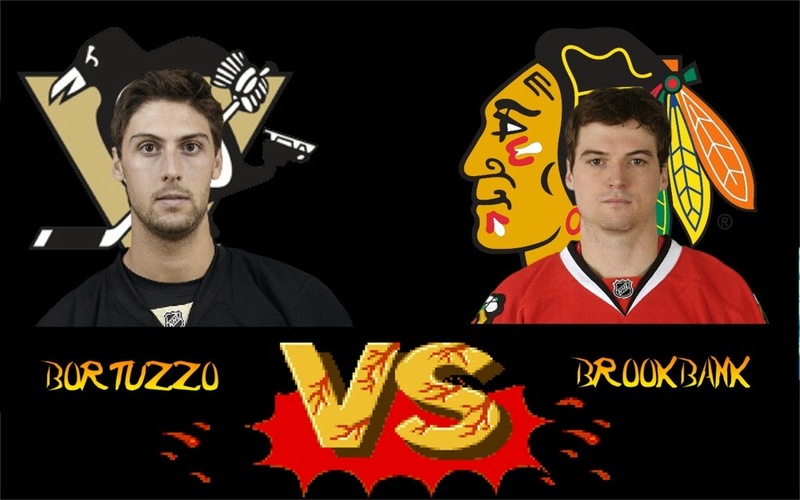 This fight all started when Kane pickpocketed Bortuzzo and "Borts" hit him hard behind the net. Brookbank, a veteran scrapper, got his number and waited for a chance to throw down with him. Brookbank has bounced around teams from Devils, Ducks, and Blackhawks amassing 421 PIM in 304 NHL games his brother Wade spent some time with the WBS Penguins on two separate stints. Bortuzzo or "Borts" has been known at the AHL level to answer the call on several occasions , even collecting 9 majors during his rookie AHL year. Borts will stand up for this teammates accept a challenge but has rarely been the one looking for a battle. Bortuzzo loves to lock up his opponent's collar/crest and use his massive 6'4" wingspan to stay out of range and come up and over with right hooks. 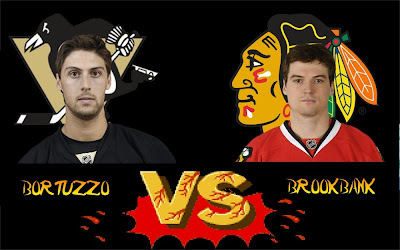 In this fight Bortuzzo got the position he wanted after being challenged by Sheldon. He got a hold of the collar and landed a few massive punches right off the bat gaining the advantage. Bortuzzo landed 8-9 solid shots and only received a few non-damaging punches in return. The fight ended with Bortuzzo's strength pulling both men to the ice.